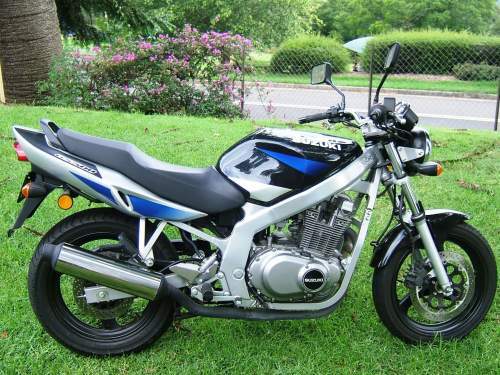 This Used SUZUKI GS500E motorbike for sale This bike was bought for my wife, but has proved too large for her and so has had little use. Having been garaged all its life, there is no rust and its appearance is almost perfect, with the only significant cosmetic flaw being scratches on the left hand mirror plastic. The bike runs very well, has almost brand new tyres and will be supplied with a RWC. Bike is registered until August 2008.